Parlaying low expectations into a sneakily effective action thriller, Rise of the Planet of the Apes is the rare prequel that can justify a return to a decades-old premise. It's a classic exercise in the cinema of exceptionalism, with one man and one monkey setting in motion an utterly unthinkable premise - the ascent of our simian cousins into a fully-formed society centered on a complex forms of representative government and horseback riding. Knowing it can hardly be derided for attempting to explain ideas it did not invent, Rise tackles the assignment with aplomb, stacking as many references to Apes lore as possible. Though this lends the film an air of inevitability, it's executed with a playful single-mindedness that makes even the most groan-inducing homage easy to swallow. That being said, the front end could use some work. This human-centric part of the story finds a scientist (James Franco) who makes a last-ditch effort to resuscitate his research into an Alzheimer's-curing virus by bringing home a laboratory chimp for surreptitious testing, and finds that his treatment has given the animal a staggering capacity for intellectual development. The chimp, named Caesar by Franco's Alzheimer's-afflicted father (John Lithgow), is a computer-generated character (motion-captured in his various states by Andy Serkis) yet gives a more convincing performance than any flesh and blood entity. 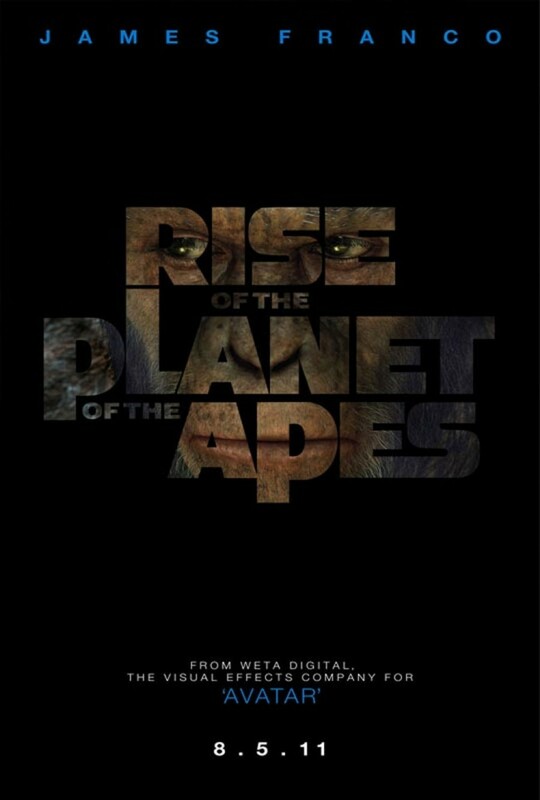 It's telling that the film marginalizes Franco and the rest of the human cast once Caesar is transferred from his care into the sadistic arms of Brian Cox and Tom Felton at a shady ape sanctuary. And though the film improves the more it affirms that this is Caesar's story, the conflict at the shelter at times verges on the histrionic. All bets are off, though, once Caesar goes Ape Guevara on the human race. Rise could have transformed into fan fiction by this point, but avoids it by triggering its biggest emotional payoffs during Caesar's stint in the shelter. At some point the movie becomes a PETA-certified inversion of the monster narrative. Eventually, Felton's cruelty and Franco's impotence set up a fevered pillaging of San Francisco by all manner of chimps, gorillas, and orangutans - all enhanced by the super-serum developed by Franco - that feels more like a documentary of a social uprising than a terrifying conquest. Rise is ultimately all in good fun, but also dares to take account of the shared animal intelligence that makes Caesar such an affront to the human race. As a supposed inferior, it's too dangerous to keep him on a level playing field even after he's grown accustomed to it. His loyalty, cunning, and sense of justice are cute until they inspire action against us. In other words, we're fine with letting monkey see but rue the day that we let monkey do.